The work in the exhibition spans four continents and a varied range of artistic practices, from Anna Boghiguian’s politically charged and nuanced drawings, paintings, cut-outs and installations surveying globalism and intricate economies of power, to Bouchra Khalili’s deft examination of resistance, minorities and identity through her use of film, often in collaboration with her subjects. Otobong Nkanga’s intricate and beguiling tapestries, installations and use of minerals and organic material interrogate our fast-changing relationship with the land and colonial legacies, Trevor Paglen’s unique use of photography, scientific collaboration and journalism offer the viewer a chance to see the unseen, investigating shadowy government practices, surveillance and hidden structures of authority, while Apichatpong Weerasethakul’s meditative and dreamlike films explore the ghosts of Thailand’s past, liminal spaces of memory and identity and shared consciousness and belonging. 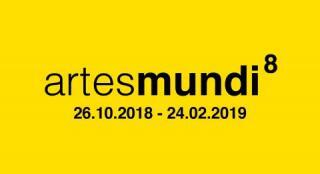 The winner of Artes Mundi 8 will receive a prize of £40,000GBP or equivalent local currency. The winner is announced on January 24th 2019.